In our last post, Explosion of the TU-144, we looked at the crash of the TU-144, a.k.a. the Konkordski, at the June 3, 1978 Paris Air Show, and we asked, “Why, on such an important day, did such an important plane flown by some of the Soviet Union’s very best air crewmen self destruct? Today, we’ll consider the history that might give us clues to the answer. Since where a person stands depends on where they sit, we will start by looking at where the TU-144’s designer sat. Andrei Tupolev sat at a design table. He had been sitting there since graduating engineering school in 1918. If you have never liked a Russian, and you feel guilty about it, here’s your big chance to remedy that. On November 10, 1888, Andrei Nikolayevich Tupolev was born in a dismal village near the Volga River. Tupolev was an early communist or communist sympathizer. While in college, he was arrested and had his studies delayed a few years. After graduating in 1918, Russia’s leading aviation engineers quickly recognized him as a remarkable talent. Aviation was still in its infancy, and Tupolev was highly influential in its survival and development inside of the young Soviet Union. We might assume that his early Party work prior to and during the Soviet revolution would have placed this remarkably productive engineer above the suspicion of the police state. Don’t be silly. On October 21, 1937, the minions of Stalin’s insane, self-destructive Soviet police state visited the Central Aviation Institute and promptly arrested the entire staff. Why? Blame it on German engineers. The Soviets had ignored the advice of Tupolev and his fellow visionaries at the design bureau. The Soviet Union’s aircraft were failing miserably when piloted by young, poorly trained volunteers against the German aircraft flown by Franco’s Nationalist Air Force and members of Nazi Germany’s Condor Legion. Stalin and his cohorts had plenty of intelligence on the Luftwaffe, and they hadn’t needed to go far to get it. In violation of the Treaty of Versailles, the Soviets secretly allowed the Nazis to operate a military pilot training facility in Lipetsk, Russia starting in 1924. The USSR had watched Germany build its pilot cadre for the Luftwaffe from a grandstand seat. Stalin’s sycophants had miscalculated (miscalculating was there most highly refined skill), and they assured their fellow idiot, Stalin, that their Soviet aircraft would be victorious over the hated Germans in the Spanish Civil War. They weren’t. Someone was to blame. Obviously, Stalin and his unqualified idiots who were making the aircraft production decisions could not be at fault. Arrest Tupolev! 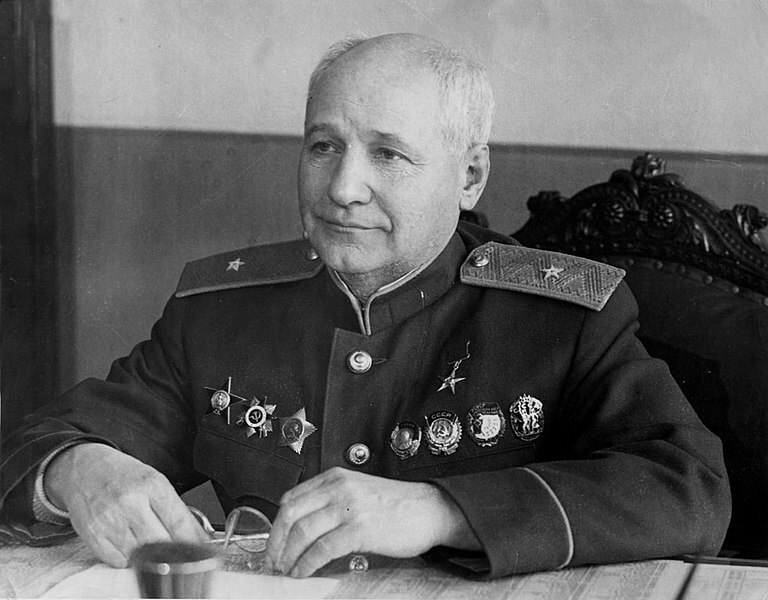 Most of Tupolev’s coworkers were executed as saboteurs. He and the other survivors were moved to an NKVD work camp where they went back to designing airplanes, but with less to eat for breakfast and no warm place to sleep. Tupolev was run through a quick sham trial and convicted of sabotage. He was sentenced to ten years in prison and kept at the “aviation science” prison that the Soviet police state had so thoughtfully created for him and his fellow literates. In 1944, Stalin ordered Tupolev released for “important work.” The important work had to do with allied aircraft that had at times landed inside the Soviet Union. Stalin wanted Tupolev and other top Soviet engineers to examine the British and American aircraft that had flown in the European theater while he delayed their departure. American aircraft that had that had flown missions against Japan were simply impounded because the USSR was not at war with the Japanese until April 13, 1945—after the US, Great Britain, and their Pacific allies had defeated Japan. In 1945, three US Air Force B-29 bombers landed in the Soviet Union after bombing Japan. The B-29 Flying Fortress was the most advanced heavy bomber yet produced, and Tupolev was ordered to create an exact copy of it for large scale production in the USSR. He very quickly did. After Stalin left for that big gulag in the sky, the new Soviet boss, Nikita Khrushchev, denounced Stalin’s many purges as a terror. He “reformed” Tupolev and developed a friendship with him. Apparently, both Andrei and Nikita enjoyed bantering unashamedly, using the most vulgar language in front of anyone who heard their conversations. In 1956, Tupolev’s TU-104 jet transport entered service with Aeroflot. It was only the second jet transport to enter service. Under Khruschev, Tupolev became an icon of the Soviet state. He was the poor village boy who suffered for the revolution, survived Stalin, and went on to prosper as a great engineer. It played well in the USSR. Tupolev was a very human hero that Soviet workers could relate to. After Leonid Brezhnev led a successful plot to remove Krushchev from power in 1964, Andrei Tupolev declined in popularity. His projects became more difficult to fund as compared to projects from other design bureaus, such as Ilyusian. Even without the patronage of Khrushchev, Tupolev remained productive, but his struggles to acquire funding became monumental. By the time of the Paris Air Show, Andrei Tupolev and the TU-144’s lead designer, his son Alexi, were both highly invested in the success of the aircraft. France and the UK were less enthusiastic about the development of the TU-144. The United States was ambivalent toward both the French/UK Concorde and the TU-144. So where were the Americans on June 3, 1973? We will need to glance at a bit of American history to answer that question. In the 1940s and 1950s, aviation was changing quickly. Once US Air Force Colonel Chuck Yeager broke the sound barrier on October 14, 1947 in a Bell X-1 rocket plane, engineers raised their expectations for aircraft capabilities. Most of the design efforts in the USA, Europe, and the USSR were directed toward ever newer and faster fighter and bomber designs. Passenger flight was expanding rapidly at the same time, too, as airlines hungered for more efficient, more reliable transport planes. Naturally, dreams of Supersonic Transports (“SST’s”) began to solidify into planning and design work. In the USA, Boeing, Curtis-Wright, Lockheed, and North American all set their sights on a Mach 2.+ airliner. They and the Federal Aviation Administration estimated that eventually a maximum market for 500 aircraft would grow and justify the cost of the development and production. The US aircraft industry had extensive experience in supersonic military aircraft, and that experience helped the rapid pace of the design competition. Great designs began to emerge from the competition. In 1966, Boeing and Lockheed each presented exciting, high performance designs to the federal government. Both designs were funded, but before they went into production, economics and the taxpayers intervened. However, urban dwellers were not quite as forgiving. As talk of multiple daily supersonic flights became more popular, the public expressed concerns about the noise generated by supersonic flights. The market for domestic supersonic transport in the US began to dry up before it ever came to fruition. That drastically changed the economics of the SST projects. Lockheed and Boeing both developed designs for SST’s capable of Mach 2.8 cruising speeds (as compared to the Mach 2.2 speed of the Concorde). They also both found themselves looking at a very ugly bottom line. The cost of producing and fueling the aircraft would generate passenger ticket costs that too few passengers would purchase. Between public resistance to “sonic boom” and ozone damage concerns, along with ugly economic projections, both projects lost steam quickly. In 1971, the US government stopped funding both projects. Before the Concorde and the “Konkordski” took to the skies above Paris, the United States dropped out of the SST market, both as consumers and producers. The race field was comfortably narrowed, but the market had also dwindled. By the time of the Paris Air Show there was little margin for error for the Concorde or the Konkordski. In the next post, we’ll explore the rest of the story. Any questions about Andrei Tupolev and his path to the 1973 Paris Air Show?